But this week, a group of Members of Parliament in Westminster are attempting to change the Offences Against the Person Act in order to finally remove the criminal offence and give Northern Ireland the chance to legislate for abortion. However, the legislation that will replace the PLDPA has carried over the framework of criminalisation and the infamous 14 year prison sentence. The Bill being debated right now says an individual who needs an abortion will not be subject to any criminal penalty, but anyone who helps them might be. If, for example, somebody sources safe but illegal abortion pills online for their friend or family member, they would be committing a criminal offence. Right now, abortion could be decriminalised across the island of Ireland if politicians do the right thing. If you live in Northern Ireland or any part of the UK, write to your local MP asking them to support the effort to repeal sections 58 and 59 of the Offences Against the Persons Act, coming to parliament on Tuesday 23rd October, to decriminalise abortion. You can also ask them to support the ‘equal rights’ amendment to the Northern Ireland Bill on Wednesday 24th October which calls for reform on abortion and equal marriage. See more information here. 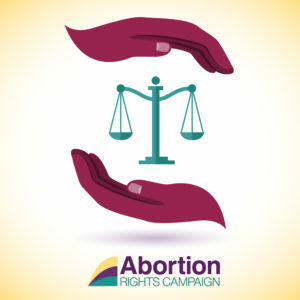 If you live in the Republic of Ireland, write to your local TDs asking them to support an amendment to the Health (Regulation of the Termination of Pregnancy) Bill, to remove all criminal offences from our abortion law. See more information here.